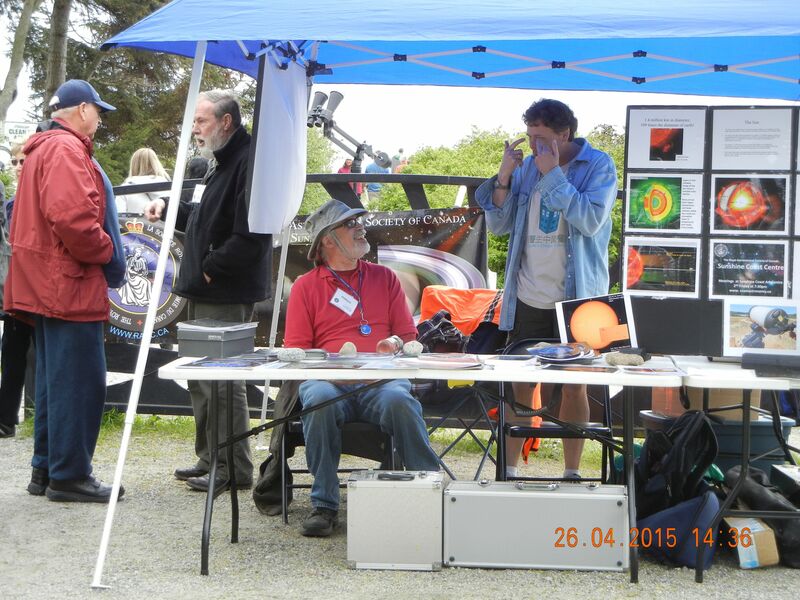 We will be setting up our outreach booth for Roberts Creek Earth Day from noon to 5 pm on Saturday, 22 April, by the Mandala at the foot of Roberts Creek Rd. This is the same location we’ve set up in past years. Volunteers should show up for 11 AM to help set up. Members of the public at our Earth Day booth last year.